While our ARCHOS TV Connect review in still in the works (see the product unboxing here), we thought it would be interesting to check our XBMC for Android behaves on this device. XBMC is a powerful multimedia center supporting a wide variety of digital content formats for videos, audio and pictures. Originally designed for Microsoft Xbox console, it has been adapted for computers and ported to run as a native application on many platforms: Microsoft Windows, Mac OS X, Linux, BSD, Android and iOS. XBMC can play multimedia content locally from the Android device, on a storage system connected to it (hard disks or usb flash drive) or from the network. There is also support for add-ons to pull remote content on the Internet, such as movie trailers, YouTube or Hulu videos, Grooveshark, Pandora Radio and many more ! XBMC also provides metadata with description, box cover/posters, synopsis fanart, … These data are transparently downloaded by XBMC from sites such as themoviedb.org, thetvdb.com, fanart.tv and more recently theaudiodb.com and help users organize their content and build their multimedia library. 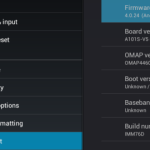 XBMC team has recently introduced specific Android builds featuring hardware acceleration on some architectures, which includes, luckily, the TI OMAP 4 used in ARCHOS Gen10 and the TV Connect. We have tried an alpha build of XBMC 13.0, it actually runs quite smooth on the ARCHOS TV Connect, we got a 10 gibabytes file for Avatar movie in 1080p h264 playing from a remote network storage without problem. The main issue on this alpha version is audio being a bit out of synch with the video on all the formats we have tried. The Youtube video below demonstrates the main XBMC features such as multimedia gallery, video playing, subtitles, audio track selection, content streaming locally or from a remote computer, video add-on with TED conference content and pictures viewing. Audio formats: MIDI, AIFF, WAV/WAVE, AIFF, MP2, MP3, AAC, AACplus (AAC+), Vorbis, AC3, DTS, ALAC, AMR, FLAC, Monkey’s Audio (APE), RealAudio, SHN, WavPack, MPC/Musepack/Mpeg+, Shorten, Speex, WMA, IT, S3M, MOD (Amiga Module), XM, NSF (NES Sound Format), SPC (SNES), GYM (Genesis), SID (Commodore 64), Adlib, YM (Atari ST), ADPCM (Nintendo GameCube), and CD-DA. If you have any questions on the ARCHOS TV Connect, feel free to post on our TV Connect forum or in the comments section below. 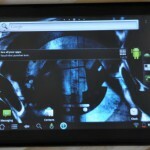 Previous articleDeal alert: AMAZON UK cuts ARCHOS 80 G9 price by half!